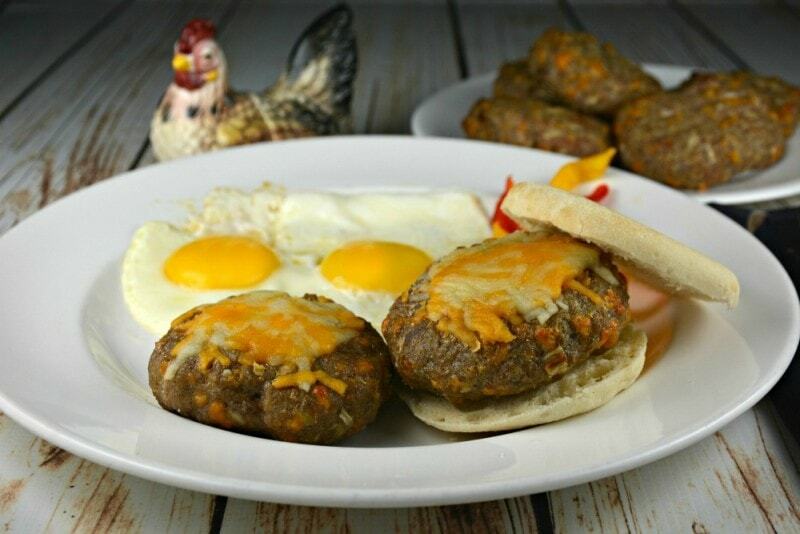 These Loaded Breakfast Burgers are the best I have ever tried and they include all of our favorite breakfast foods, all in one burger! Everything from potatoes to bacon to cheese to sausage or pork and more! This is a recipe you have to see! 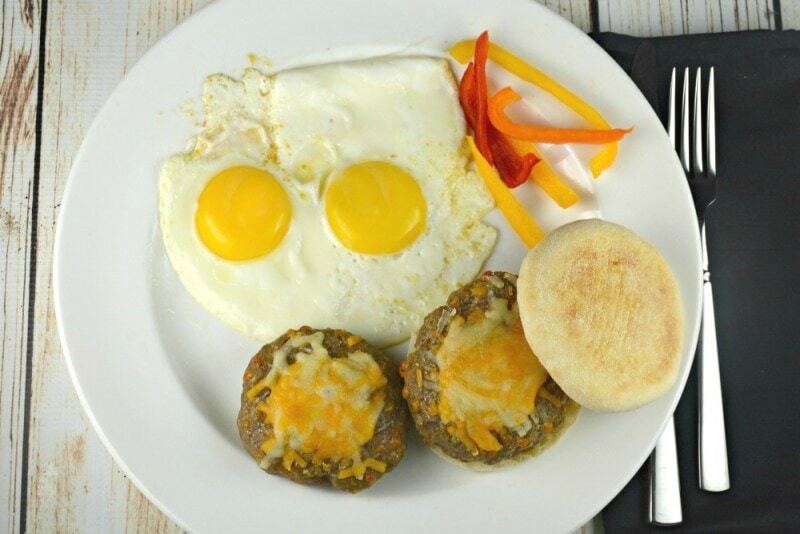 My husband Ken was the first one to create one of these Loaded Breakfast Burgers and although they were a little different back then, they were always so tasty! 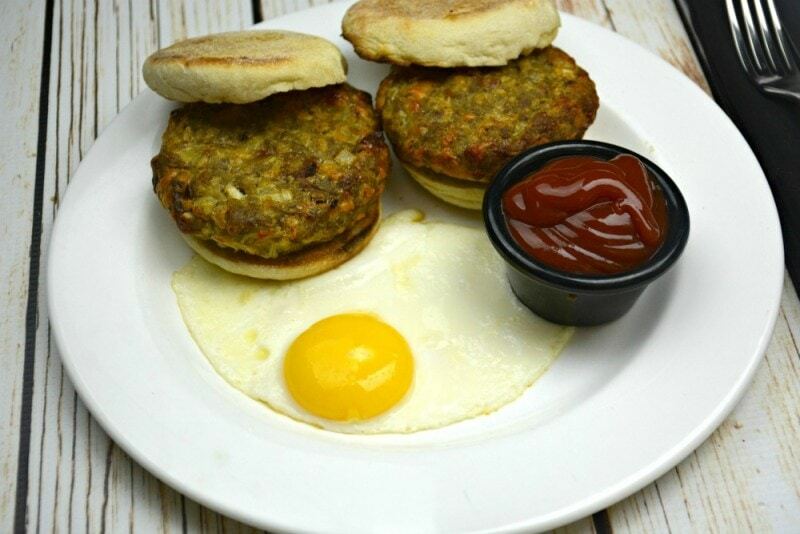 Over the years the recipe has evolved into what you see before you, nothing short of breakfast perfection! 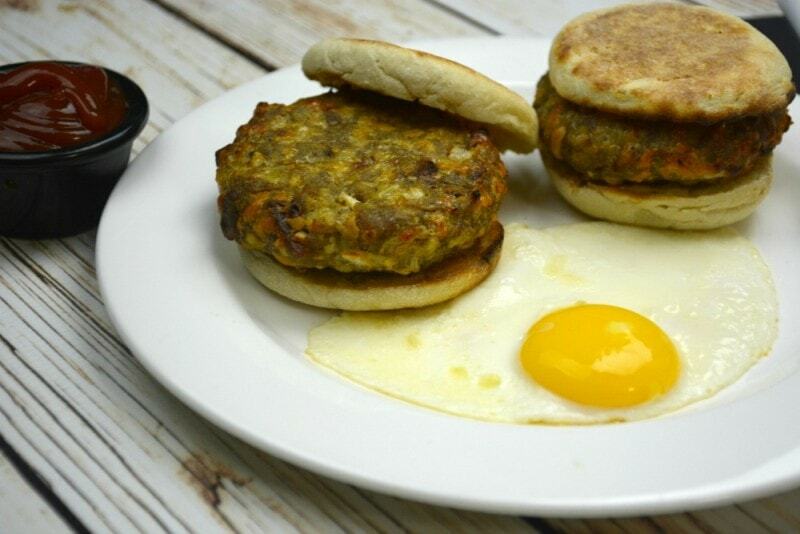 These Loaded Breakfast Burgers can be served with anything! We sometimes put cheese on top even though there is already cheese in them. I love them served with an egg so the burger can be dipped into the runny yolks. My son will add more cheese, an egg and bacon slices to the sandwich that he tops with ketchup and sometimes mustard as well. You might be wondering how my husband loves to eat his Loaded Breakfast Burgers and drum roll please, plain, on an english muffin, just as they are. He thinks they are exactly right, just the way they come out of the oven! You can fry them too but I always find I prefer to bake them. I thought I had published this recipe for Loaded Breakfast Burgers a long time ago and I apologize for not getting this recipe out to all of you sooner! But better late than never I suppose! If these burgers aren’t what you are looking for then have a peek at some of our other brunch favorites below! We also have a few french toast and pancake recipes that are definitely worth a look if you are ever in the mood for something sweeter! Around here, I rarely end up with leftovers of these Loaded Breakfast Burgers. When I do I usually just leave them cooked, in the fridge, and they always disappear. 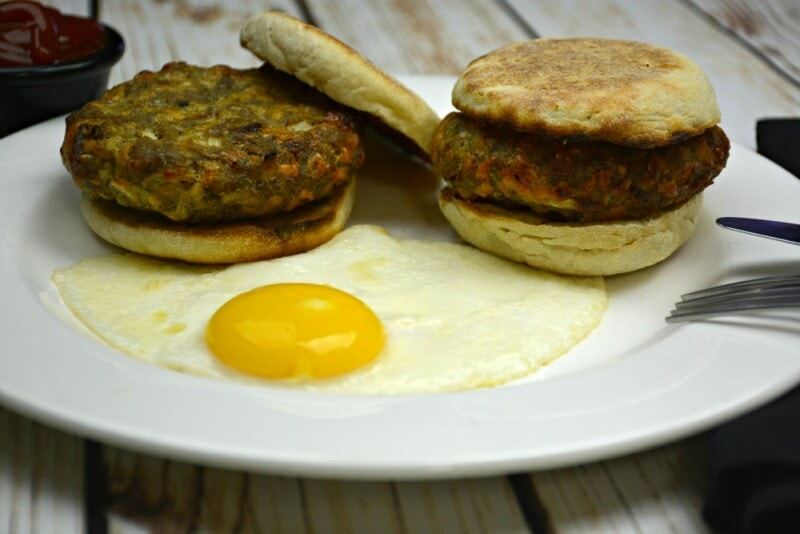 I have frozen some of these Loaded Breakfast Burgers, cooked, which makes them so easy to defrost and heat up, ready in minutes, any time you want one! 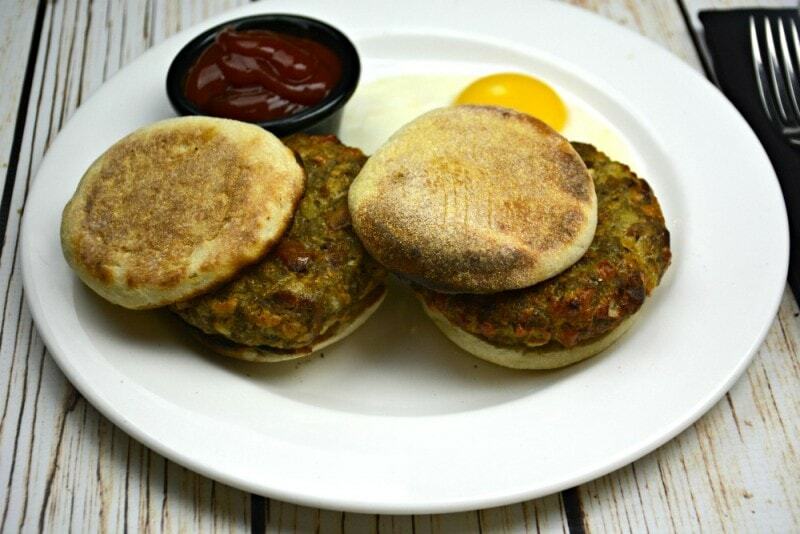 Generally, this Loaded Breakfast Burgers recipe will make 8, english muffin sized burgers. My friend Julie makes these burgers about half of that size and ends up with around 15 of them but then her kids are younger and truthfully she calls them Breakfast Meatballs! Everyone always has a giggle at the table and they gobble them up! 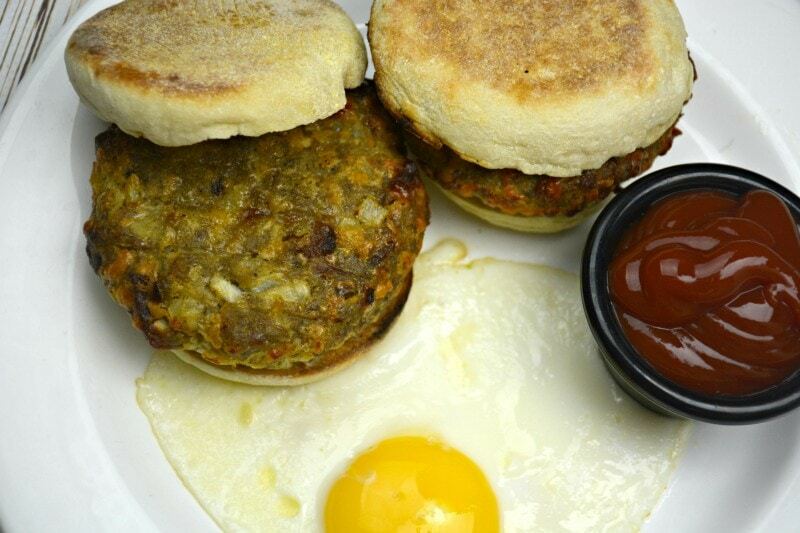 How could we not make a video for these Loaded Breakfast Burgers or if you make them smaller, meatballs? Take a moment to watch. I am pretty sure you will be glad you did. Preheat your oven to 400 degrees. Prepare a rimmed baking sheet with tinfoil and a rack lightly coated in cooking spray. Set aside. First you are going to need to cook your chopped bacon until crisp. Grab your skillet and over medium to medium high heat fry bacon until cooked. Place on a paper towel lined plate and set aside. Next, or while your bacon is cooking, boil your chopped potatoes in salted water until fork tender. Drain into a colander in your sink and return the potatoes to the pot and mash them up. Set aside. Now grab your biggest bowl and add your ground pork or ground sausage, mashed potatoes and shredded cheese. Using a spoon mix the ingredients together a bit. Then add onion, garlic, egg, syrup, red pepper flakes, seasoned salt, pepper and poultry seasoning. At this point we just use our hands and mix until everything inside the bowl is just blended together. Last add your bacon and make sure it is evenly distributed. You can add the bacon earlier but for some reason I have always added it last. I have no idea why. It is up to you! Evenly divide the meat mixture into 8 portions, as equal as you can get them. That is the easiest way to do it. Remember you want the burgers to be the size of an english muffin and they will shrink a little as they cook. They will be around 3/4 of an inch thick. Place your burgers on your prepared pan. Place the burgers in the oven for 30 minutes. After 30 minutes remove the pan from the oven, flip the burgers and return them to the oven for another 30 minutes. Check to make sure the burgers have an internal temperature of 160 degrees. You can broil these burgers for a moment or two to brown them if you feel it is necessary. Now you can toast your english muffins or make your eggs (I love to dip these burgers in egg yolk!) or do whatever you want to serve them. My son adds extra bacon slices, ketchup and on occasion mustard and makes an english muffin sandwich! I can't wait to hear what you think of them and how you serve them! Grab your largest skillet. You will likely have to fry these burgers in batches. Over medium to medium high heat place a tablespoon or two of oil. Add burgers, one at a time, and do not let them touch while cooking or they will stick together. Usually about 4 or 5 minutes per side. Use your thermometer to be sure they have an internal temperature of 160 degrees. I wish I could be more exact but between temperature differences and burger sizes not being exact it is difficult to give you a more specific time! This recipe would be great to shape as a hotdog cook and freeze for an easy quick on the go kids meal.